This year we will be studying Ancient History. Some of our Poetry will be related to the History, so for the next three weeks we will focus on learning a portion of the Latin poem “The Aeneid”, translated by Robert Fagles. 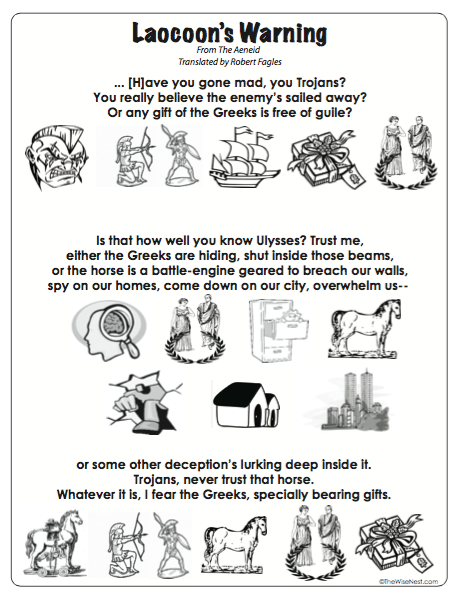 We will memorize the segment where Laocoon warns the Trojans about accepting the Trojan Horse as a gift from the Greeks. I put together a video of the poem in order to help my kids memorize it. I also made a few sheets/visual aids to go with the poem. 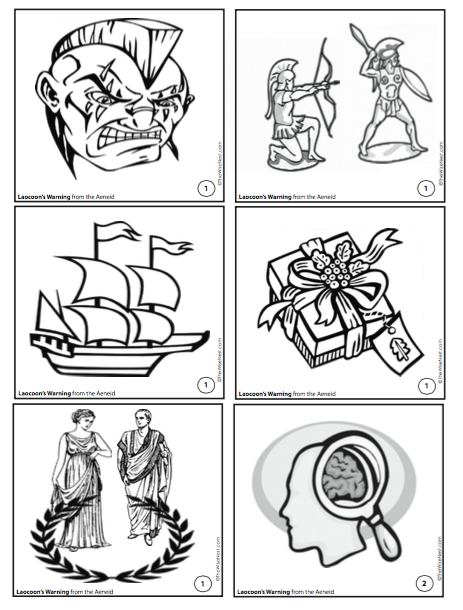 Feel free to download them if you can use them with your kids. Picture cards. 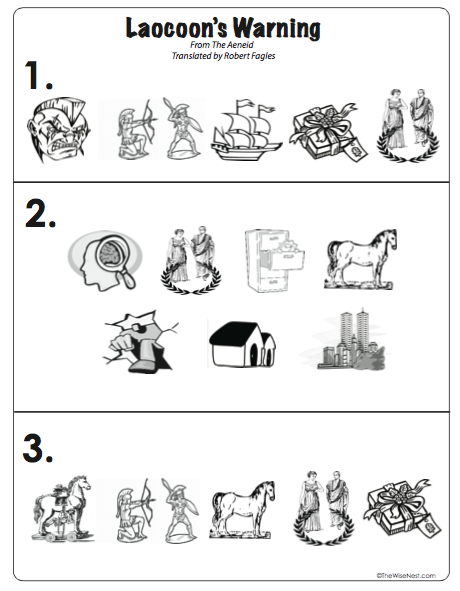 These are great to help your child recall the order of the poem without having to read it. 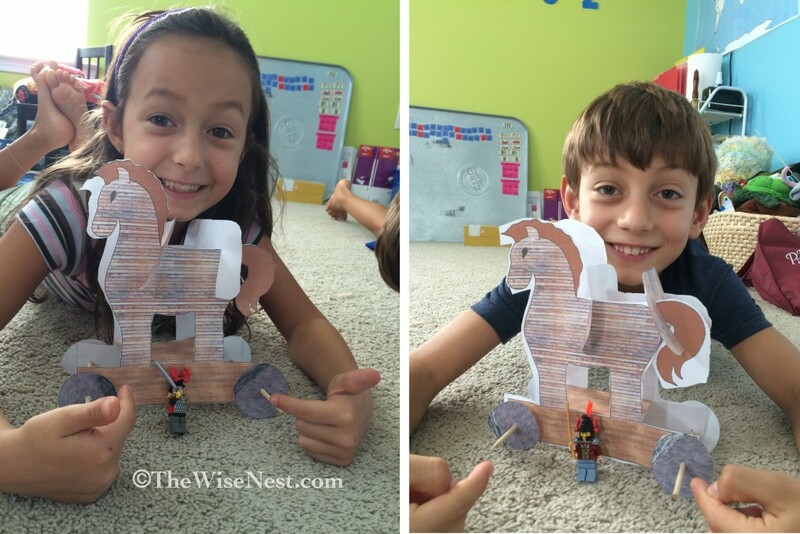 We had a lot of fun this week learning about the Trojan Horse. We watched some videos about it and then made a craft. The kids loved putting this horse together. They even pulled out their Lego figures and played pretending to be Ulysses and Laocoon. 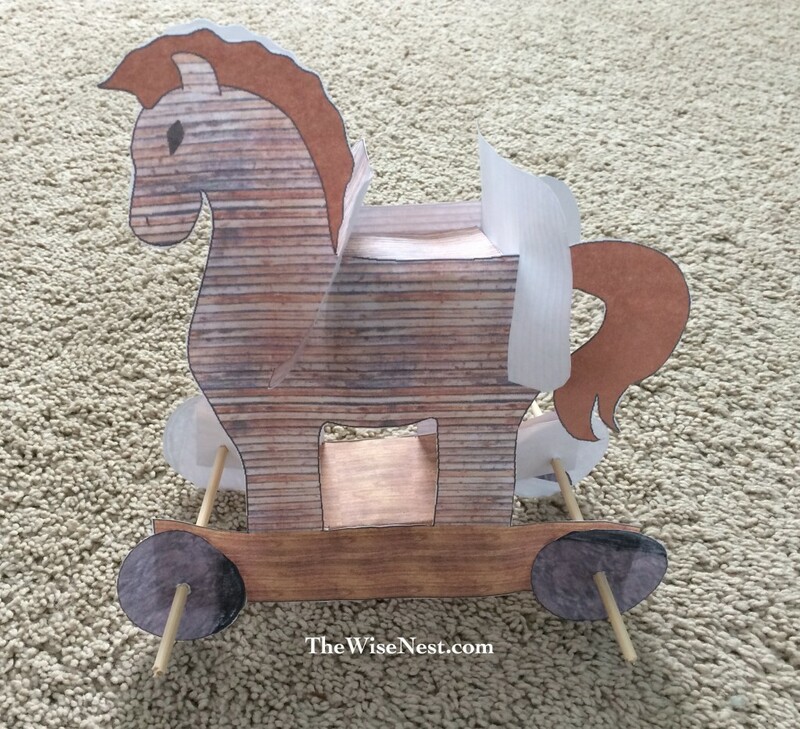 You can find the templates for this horse at DLTK-KIDS. Hope this is helpful for you and your family.